Every year The Jewish Week, New York's Jewish newspaper, sponsors a contest over a four week period to find the funniest Jewish comic of the year. This year, the stand-up comedy shows will take place on June 1, 8, 15, and 29 at the Broadway Comedy Club in New York City. To get in the mood for four evenings of stand-up Jewish comedy, we're sharing a ten minute video clip of one of the rounds in last year's competition. Among the contenders in the video clip, watch for the 2013 winners of the Funniest Jewish Comic title, Ronn Blitzer and Jessica Schechter. 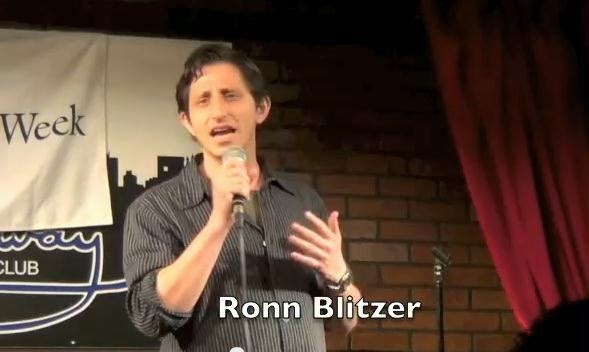 Attorney Ronn Blitzer took the title with a fluid and funny set that dealt with race, marriage and fantasy. 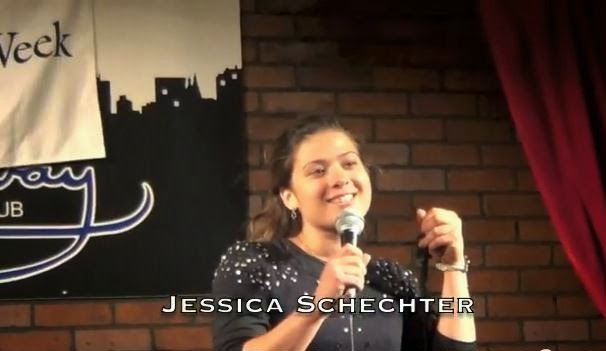 Jessica Schechter, 25, took second place with an energetic and adorable performance about teaching in the South Bronx. Blitzer, a 30-year-old Upper West Sider, drew laughs when he talked about how he thought he might get into Yale because since he’s Jewish, he’s a minority. But Jews aren’t a minority, they’re white, a guidance counselor told him. One day, while wearing a T-shirt with Hebrew lettering, a Neo-Nazi yelled that minorities were destroying America -- and pointed at him. If only the neo-Nazi was on the admission department for Yale, he thought. Blitzer scored big when he spoke about being single on the Upper West Side. Schechter, a teacher who lives on the Upper West Side, said her students wondered why she always wore skirts. The diminutive comedian, who studies directing at the Actors Studio at Pace University, joked that walking to shul and suddenly cutting away to change into heels could look like a drug deal. These folks are lame. We have had better on Jewish Humor Central. These folks need a mirror not a microphone. If you like this satirical article I wrote, you can come see me perform on June 15th.